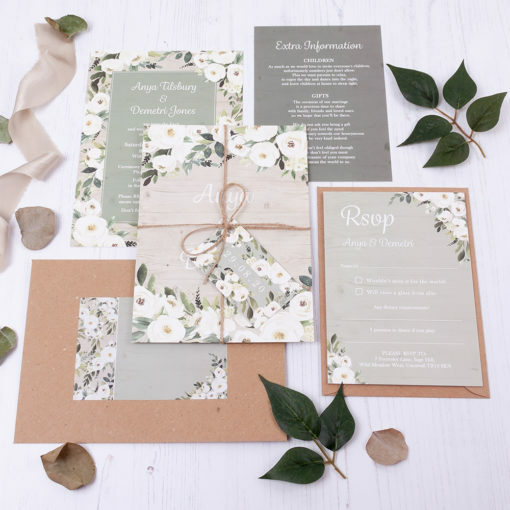 Wedding invitation sample pack including an RSVP, info card, envelopes and label with your choice of finishing option in the Forrester Green Collection design. Inspired by all the earthy green tones I see around me every day in nature. 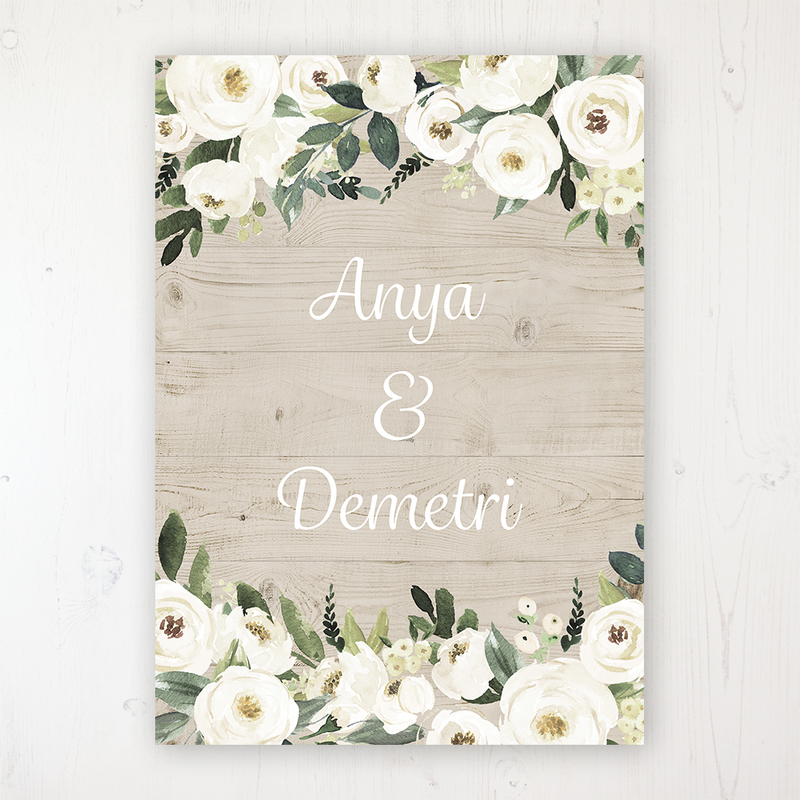 Forest, fern, apple, grass and sage are all here amidst ivory flowers and snow berries. This collection would tie in nicely with any green wedding theme, carry it through with lots of greenery and white flowers in your bouquet, in your venue decor and on your cake. 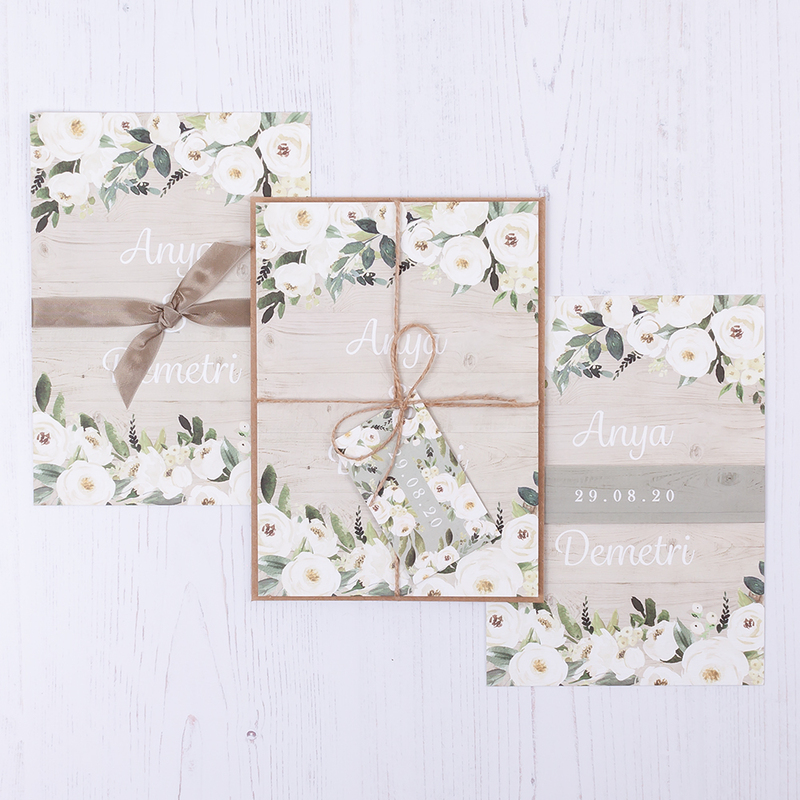 A sample pack includes an example of my personalised range of wedding stationery from the collection of your choice. 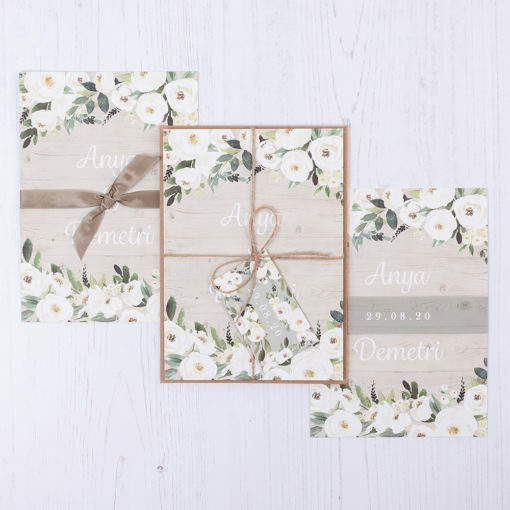 In the pack you’ll receive a wedding invitation card, RSVP card and an extra information insert card, accompanied by rustic brown and recycled white envelopes with a matching patterned address label. Please note: Samples are stationery examples in your chosen collection and are therefore not personalised. For delivery to addresses outside of Europe, please see the Delivery tab below.